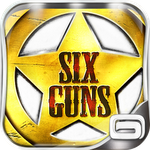 [New Game] Gameloft Releases Six-Guns For Android, Because Why Stop At Five? 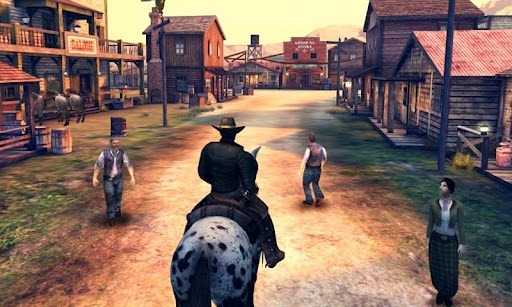 Gameloft - the makers of Asphalt, BackStab, and a boatload of other popular Android games - rode into the Google Play Store today with Six-Guns, bringing a Red Dead Redemption-esque shooter to players everywhere. Following the story of Buck Crosshaw, an outlaw who is presumed dead, Six-Guns allows players to ride through an "open world" set in Arizona and Oregon, fighting off other outlaws as well as vampires and "many other unnatural foes," stirred by a mysterious ancient force. 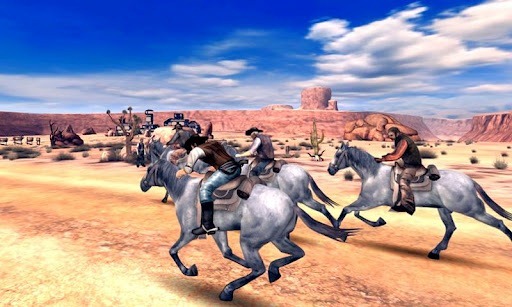 Six-Guns offers 40 missions, each with a unique set of challenges, taking players across thoughtfully crafted environments and introducing numerous waves of enemies to fight through. 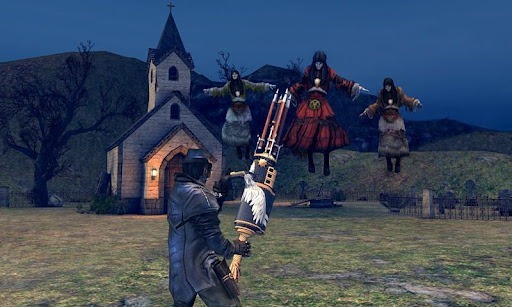 The game also has a fair amount of unlockable content, from horses to weapons, clothes, and ammo. It's worth mentioning up front that while players can finish the entire game without paying a penny, unlockables can be obtained via in-app purchase to make the journey a bit easier. If free-roaming, horse-riding, gun-shooting action sounds like something you'd enjoy, and you have a spare 227MB free for the game's additional download package, Six-Guns is worth checking out. Click through the widget below to give Six-Guns a shot.